Ethnic minorities and indigenous peoples account for over 170 million of rural Asia’s poorest people. When the Millennium Development Goals have been reached in 2015, a majority of the remaining rural poor people in Asia and the Pacific will be living in remote and less favoured areas, where productivity growth, especially in agriculture, has lagged behind other sectors of the national economies. They will predominantly consist of ethnic minorities or indigenous peoples, and be largely women. Besides being income-poor, ethnic minorities and indigenous peoples continue to suffer from food insecurity, poor health and sanitation, and low levels of education. Their economic livelihoods and their traditional crop and animal husbandry practices have become increasingly marginalized and unsustainable. They are disproportionately exposed to uninsured risks. Socio-economic and political marginalization renders their traditional access to and command of productive resources such as land and water insecure. This leads to endemic poverty and at times even to conflict. In many countries specific rights and freedoms of indigenous peoples and ethnic minorities are protected by enlightened legislation and sometimes by the constitution. Such laws are at times assorted with positive discrimination or affirmative action to compensate for historic injustice or discrimination. However, enforcement of these laws remains generally inadequate, and elite capture constitutes a real confiscation problem. Like most rural poor people, indigenous peoples and ethnic minorities do not have the individual voice to ensure that their legitimate claims are heard. Their traditional institutions have become virtually redundant or disappeared as the gradual incursion of modern socio-economic life and institutions erode their social capital. Even if the modern sector of the economy could productively absorb this labour force, it is doubtful that such a development model would be consistent with the identity and value systems of indigenous peoples and ethnic minorities. It may be necessary and economically rational to help less competitive rural producers, including indigenous peoples and ethnic minorities, by preparing them for the longer term restructuring of the economy and for their engagement in the modernizing non-rural economy through culturally sensitive education and training. But for the next ten years, it will remain essential to improve their livelihoods and to secure their quality of life in their territories with an acceptable and effective self-development model. It is important to support development that enhances inclusiveness, productivity and sustainability, and that also remains consistent with indigenous values, knowledge, identities, cultures, priorities, choices, institutions and approaches. This development should also harness and be tailored to the varying status of women in their societies. The fact that indigenous peoples and ethnic minorities steward a large proportion of the world’s environmental resources and biodiversity, the environmental services they provide and the traditional knowledge they manage makes the inclusive and culturally sensitive development model even more compelling from a global public goods perspective. IFAD supports the development values and choices of indigenous peoples and ethnic minorities through innovative self-development approaches, building on indigenous knowledge systems, replicating successful approaches in a locally adapted manner, promoting knowledge-sharing, and advocating institutional and policy change that respects indigenous institutions. Above all, IFAD is building operational partnerships with in-country stakeholders and other development agencies. This newsletter shares some of these experiences. Indigenous peoples make up less than 5 per cent of the world’s population but comprise about 15 per cent of the world’s poor people. Their vulnerability and the historical injustices they have suffered as a result of the loss of their lands and related resources are globally acknowledged. This process of marginalization has often prevented them from exercising their rights to follow development paradigms that are consistent with their needs and interests, their spiritual traditions, their histories and their very specific worldviews. In 2002, IFAD decided to work more proactively on advocacy with and for indigenous peoples, beyond the confines of its programmes and projects and within the wider field of international dialogue. Since then the organization has worked in close collaboration with a broad network of representatives of indigenous peoples, their women’s groups and the NGOs that support them. In addition, in the last few years, IFAD has established a very close partnership with the United Nations Permanent Forum on Indigenous Issues, which was established by the United Nations Economic and Social Council on 28 July 2000. In 2005, indigenous experts from Asia and Latin America independently undertook five case studies of IFAD projects and presented their findings to a brainstorming workshop held in IFAD in November. The experts found that the projects have improved the quality of life for indigenous families and communities. They highlighted that these projects, particularly in Latin America, have led to increased appreciation of the role of culture, identity and indigenous traditional knowledge in development, and of the need to integrate these in development practices. According to the case studies, IFAD has developed and used institutional innovations to elaborate and reinforce concepts and practices that are consistent with the views and perspectives of indigenous peoples on development. On 15 May 2006, the President of IFAD will be the keynote speaker at the opening of the fifth session of the United Nations Permanent Forum on Indigenous Issues, which will take place at the UN Headquarters in New York. In cooperation with the World Bank and the Permanent Forum, IFAD is working to build a stronger, more equal and more sensitive partnership between the international financial institutions and indigenous peoples. IFAD will host the next annual meeting of the Inter-Agency Support Group of the United Nations on Indigenous Peoples in September 2006, after which it will chair the group for one year. The Andhra Pradesh Tribal Development Project in India is perhaps one of the most well known and widely discussed indigenous development initiatives in India. This US$46.5 million project was the first externally funded tribal development project in Andhra Pradesh and the second in the entire country. The project’s main objective was to foster self-reliant household food security by increasing the food production and incomes of tribal families. The project pursued its objectives through community-based participation within the context of the tribal environment, culture and values. A project evaluation mission undertaken by IFAD’s Evaluation Division in 2001 found that the project was highly successful in reaching tribal groups and communities. The project was particularly successful in fostering community participation and empowerment of indigenous peoples. Participatory approaches designed to motivate and empower men and women played a key role in the project’s activities. The project established a variety of local-level institutions, including self-help groups (SHGs), cluster-level associations of SHGs, user groups or village development committees, and village tribal development associations (VTDAs), which served as forums for the expression of community priorities and concerns. Grain banks were the most significant village-level institutions. They enabled their members to manage without the services of moneylenders especially in the periods of food shortage. The project also established community coordination teams of young, dedicated professionals who lived in tribal villages for up to three years in order to assist villagers in social mobilization, awareness-building and the identification of needs and priorities around which development interventions were built up. These teams were successful in encouraging meaningful participation among tribal communities, helping them identify village priorities and implement and monitor development activities in the areas of health and education. Social mobilization and community participation in the project was primarily a mechanism for preparing people for the delivery of project activities. However, participation should not be confined only to specific activities. Attention should be devoted to developing local-level institutions to promote grassroots participation and empowerment by following the “development ladder approach”. The SHGs, village development committees and their apex organizations should therefore be linked, nurtured and facilitated in order to promote a bottom-up approach. There was an issue of sustainability of SHGs beyond the project period. Despite the significant number of SHGs that the project formed, more than half of them were inactive at the end of the project. The project evaluation stated that participatory processes can be better sustained if they are institutionalized within existing structures and programmes. Training and capacity development for social mobilization should be an integral and regular aspect of project design and implementation. Instead of implementing training modules in an ad hoc manner, future projects should appoint resource persons, and develop resource materials and training methodologies on a long-term basis. The project lacked a coherent strategy to ensure the convergence of community institutions with the traditional power structures and government institutions. This made it difficult to achieve better bargaining power for the community. In order to avoid the emergence of parallel and potentially divisive structures, future projects must investigate the nature of traditional authorities and recognize the links between new and old institutions. These and other lessons, have been incorporated in the design of other projects in India including the Andhra Pradesh Participatory Tribal Development Project, the North Eastern Region Community Resource Management Project for Upland Areas, the Jharkhand-Chattisgarh Tribal Development Programme, and the Livelihoods Improvement Project in the Himalayas. While in the Andhra Pradesh Tribal Development Project the empowerment through social mobilization was only one of the project features, in the projects mentioned above it plays a crucial role in the overall strategy for institutional development. In the last ten years, Ha Giang province in the north of Viet Nam has been experiencing significant development progress as a result of the combined efforts of many development programmes funded by the Government of Viet Nam and international organizations. However, the province still faces many challenges. A typical remote mountainous province, with a great number of ethnic minority groups, it is one of the poorest provinces of Viet Nam. The government has launched programmes and worked on developing solutions for this area. One of the examples is the Ha Giang Development Project for Ethnic Minorities financed by an IFAD loan of US$12.5 million, a US$2.3 million grant from the United Nations Development Programme (UNDP), a US$0.8 grant from the Swedish International Development Agency (SIDA), and contributions of the Government of Viet Nam and project participants. The findings from the Interim Evaluation show that the project has satisfied the key elements of its stated goals of improving food security and incomes, and of raising the standard of general welfare for the target group, including ethnic minorities. Information and literature on the project should be made available in the languages of the ethnic groups. At least one person from an ethnic minority should be present at the village management group level. Exercises to identify and prioritize poor people’s needs should be designed to focus on ethnic minorities. Ethnic minority households should be prioritized, where feasible, in training initiatives. The ongoing Smallholder Agricultural Improvement Project in Bangladesh is working to improve the livelihoods of tribal communities living in Sherpur, Jamalpur and Mymensingh districts in central Bangladesh. There are approximately 13,000 tribal (Adivasi) households in the area, which is approximately 1 per cent of the total population of these districts. The Adivasis in the project area belong mainly to the Garo tribe and live mainly in the Garo hills close to the Indian border. Other tribes in the area include the Koch, Burman, Katrio, Hajong, Dalu and Banani. All these tribes are of Tibeto-Burman origin and have distinct social and cultural norms, which differ significantly from mainstream Bengali cultural traditions. They follow both matrilineal and patrilineal social systems. Adivasis are largely dependent upon agriculture for survival. Historically, tribal groups in Bangladesh have suffered from exclusion and marginalization, and as a result are characterized by severe livelihood insecurity. In order to improve the livelihoods of these groups, the project has focused on providing technical training, agricultural technology demonstrations and financial services. For example, the project has provided training to Adivasis in subjects such as vegetable and fruit production and processing (in particular of mangos and litchis), nursery management, sewing, farm mechanics, driving and income-generating activities. Agricultural demonstrations and training have so far reached 15,000 Adivasi households. The project has also provided access to financial services for 340 Adivasi groups with 6,400 members. Finally, as a pilot activity, the project has supported the development of eight Adivasi ecological villages, providing facilities such as tube wells for safe drinking water, sanitary latrines for improved primary health care, internal village roads, biogas plants, community centres and ponds for aquaculture. Targeting ethnic minorities is an important part of the objectives of the West Guangxi Poverty-Alleviation Project in China. The project covers a rural population of about 1.23 million in 263,000 households, about 77 per cent of whom are ethnic minorities, mainly Zhuangzu, Yaozu, Maonanzu and Miaozu. They live in remote and mountainous areas with very fragile natural conditions including land, and are the poorest groups in the province. The project is working with these ethnic minorities to improve their productivity and living conditions. By the end of 2005, about 205,000 households had directly benefited from the project, about 74 per cent of whom were ethnic minorities. Better infrastructure has improved the conditions for agricultural production, increasing food availability by about 25-30 kg per capita per year. An increased number of schools has improved the access of ethnic minorities to education, increasing children’s overall enrolment rate from 94.3 to 99 per cent. The increase is even more significant for the ethnic groups. About 350,000 farmers of ethnic minorities have been trained in new technologies and healthcare practices, which has enhanced their productivity. Provision of biogas energy has greatly benefited the natural environment as the overall forest coverage rate in the project area has increased from 51 to 56 per cent. It has also reduced the burden on women who previously collected fuelwood from the mountains. Microcredit activities have allowed a large number of poor ethnic minorities to obtain development funds for their income-generating activities contributing to increased net income of about CNY 150-200 per capita, equivalent to USD 20-25. In order to improve the effectiveness of project activities, the project unit is monitoring the lessons learned from implementation and using them to plan its future activities. It recognizes that to increase income through credit activities, linking technical training with credit distribution is very important. On the one hand it helps the rural credit cooperatives reach poor households, and on the other hand, it enhances the success of project activities. The project also recognizes that working with ethnic minorities such as the Yaozu and Miaozu, requires time to make them understand the importance of their participation, including the setting of project objectives and the identification of activities. Their improved understanding stimulates more self-initiated development. To overcome the language barrier, the project management office recruited local staff that speak the languages of ethnic minorities. The scheduled tribes and scheduled castes of India are among the poorest social groups in the country. To rectify this situation, the Panchayat Extension to Scheduled Areas (PESA) Act of 1996 aimed to facilitate participatory democracy in the tribal areas by giving power to gram sabhas (village assemblies comprising all resident adults) to manage and control their own resources. The tribal communities were thus made responsible for managing their own development in harmony with their distinctive cultures so as to safeguard their traditional rights over natural resources. In support of this initiative by the Government of India, IFAD provided funding for the Jharkhand-Chattisgarh Tribal Development Programme. This was designed to empower local communities in three districts of each state, Jharkhand and Chattisgarh, so that they would be able to design sustainable strategies for the management of their natural resources and to establish grassroots community institutions in which poor men and women take part and where decisions are participatory. In partnership with the World Food Programme and local NGOs, the programme also works to ensure household food security, and to improve the livelihood opportunities and the overall quality of life of the tribal population, through the sustainable and equitable use of natural resources. The results of programme implementation so far are impressive. Gram sabhas, responsible for planning, coordinating and monitoring programme activities, are now operating in the 90 villages covered in the first phase of the programme. Decisions are being taken in a participatory manner involving most residents. Various committees have been established under the gram sabhas, most importantly programme execution committees. These are charged with consolidating the schemes proposed into a village development plan and receiving financial resources directly from the programme to implement these. Other user groups, such as watershed development and forest management groups, have been set up and several self-help groups (SHGs) have been formed in each village. Before the programme women could not even attend meetings of the gram sabha. Now they are actively participating in decision-making, have almost equal representation in all committees and are occupying positions of leadership. The programme has provided basic training in the concept of PESA, the role of the gram sabha, the responsibilities of grassroots organizations and the technical aspects of land and water management, agriculture, forestry, livestock, microfinance and healthcare. As illiteracy limits the ability of people to participate actively in building and managing their own institutions, literacy programmes are a priority. Resource Management Plans have been drawn up in a participatory manner in 88 villages and are being implemented in 81. The plans include a wide variety of activities, such as renovation or construction of ponds, bunds, check dams, diversion channels, wells, access roads and plantations. Land and water management activities have improved water availability, reduced soil erosion and created employment, thus reducing migration. As members of SHGs, women have access to microfinance services so that they can invest in productive activities or for social purposes. As a result of the positive outcome of the first phase activities, IFAD is ready to scale up the programme during the second phase. The benefits of planning and implementing development schemes owned by local communities can ensure the sustainability of grassroots institutions. In December 2000, IFAD approved a loan of US$17.15 million to support the Southern Federally Administered Tribal Areas Development Project in South Waziristan, North Waziristan and Kurrum Agency in the Federally Administered Tribal Areas of Pakistan. This area is a strip of mountainous marginal upland that adjoins the Afghanistan mountain chain. It is characterized by a very strong tribal structure. There are 11 major tribes with several smaller tribes and sub-tribes. Pushto is the main language. IFAD designed the project to support poor rural communities through provision of rural infrastructure, financial services, irrigation development and agricultural support. Unfortunately, partly as a result of the instability caused by conflict in Afghanistan, the area has become characterized by a violent insurgency and military operations have increased over recent months. The project has suffered due to this insurgency; project vehicles have been stolen and project staff have been shot at. As a result, the project has had to suspend operations in both South and North Waziristan, and IFAD is in the process of declaring a force majeur situation to protect the project. The project has responded by planning for an increased emphasis on activities in the currently unaffected Kurrum Agency. IFAD hopes that over the coming months the project will be able to consolidate activities in Kurrum Agency and that the project will move back to South and North Waziristan once the situation normalizes. As of 2000, the National Commission on Indigenous Peoples of the Philippines reported about 13 million indigenous peoples, representing around 17 per cent of the total national population, distributed among an estimated 110 ethnolinguistic groups. Since the early 1980s, IFAD has provided financial assistance through various interventions in order to improve the living conditions of these communities. Three IFAD interventions targeted specifically, and in some cases exclusively, the indigenous peoples of the Cordillera Administrative Region, which has the highest concentration of indigenous peoples in the country - around 1 million. Many of them are among the poorest people in the Philippines and they face constant threats to their secure access to their ancestral lands and to other productive assets, like water and forest resources. The latest of these interventions, the IFAD/Asian Development Bank (ADB) cofinanced Cordillera Highland Agricultural Resource Management Project, aimed to increase the farm incomes of the target group and to reduce the US$1 per day poverty incidence among them from 70 to 25 per cent. The project was implemented in 82 baranguays (villages) in the region. Second, by 2001 the project helped the Department of Agrarian Reform to issue certificates of access rights to 15,000 ha of land for 13,400 indigenous peoples and surveyed 124,000 ha of ancestral domains. When the Indigenous People's Rights Act came into force in 2001, the National Commission for Indigenous Peoples took over the issuance of Certificates of Ancestral Domain Titles and Certificates of Ancestral Land Titles. Thus, in July 2002, the project helped the National Commission for Indigenous Peoples in issuing a Certificate of Ancestral Domain Titles to the Bago‑Kankanaey Tribe of Bakun municipality in Benguet province covering 29,500 ha of land. It was the first such certificate ever issued in the Philippines. Subsequently, in March 2004, the project issued another such certificate to the Kankana-ey Tribe of Kibungan municipality, also in Benguet, covering an area of 26,400 ha. The issuance of certificates for other ancestral domains was nearly completed when the project closed in 2005. Despite the project completion, the National Commission on Indigenous Peoples will finalise the Ancestral Domain Sustainable Development and Protection Plans for the areas of Bucloc in Abra Province; Bakun and Kibungan in Benguet Province; and Sagada, Sabangan and Tadian in Mountain Province. It will also complete the issuance of the Certificates of Ancestral Domain Titles for the Buguias and Masadiit areas which have been delayed by boundary conflicts. Third, a major accomplishment and lesson learned under the IFAD-supported project is the recognition of the value of local knowledge. The project successfully integrated the lapat system - an indigenous system of forest management practised by the Tingguians' Masadiit Tribe in Abra - into its reforestation activities. The system effectively regulates the harvesting and utilization of forest products, thereby protecting natural resources. The inclusion of lapat areas in the plantations established by the project strengthened the partnership of indigenous communities and concerned government agencies in the protection and sustainability of these areas. Documentation of the system was completed and it was endorsed for use as a national policy. The First Decade of Indigenous Peoples (1995-2004) declared by the United Nations has been one of the most significant international initiatives to address the issues of indigenous peoples across the world. The objective of the decade was to “strengthen international cooperation for the solution of the problems faced by indigenous peoples in the areas of human rights, culture, the environment, development, education and health”. During the course of the decade, new spaces and mechanisms, such as the United Nations Permanent Forum on Indigenous Issues were created to facilitate dialogue and cooperation. One of the most important aims of the decade was the adoption of a Draft Declaration on the Rights of Indigenous Peoples by the United Nations General Assembly. However, despite the international efforts made over the ten years, the draft declaration was not adopted because of disagreements over certain provisions, particularly those related to issues of legal rights, self-determination and other rights of a collective nature. Given that indigenous peoples continue to face economic, cultural and political marginalization, despite the international efforts made in the first decade, the United Nations announced the Second Decade of Indigenous Peoples in January 2005. In order to review the achievements and challenges of the First Decade, the International Centre for Integrated Mountain Development (ICIMOD), in collaboration with the Tebtebba Foundation, is conducting an Assessment of the First United Nations Decade of Indigenous Peoples covering ten countries in Asia - Bangladesh, Bhutan, Cambodia, China, India, Indonesia, Nepal, the Philippines, Thailand and Viet Nam. IFAD has provided a grant of US$200,000 to support this exercise. The assessment is documenting initiatives taken at the international level for indigenous peoples’ rights, and changes in policies at the national level which have implications for the lives and livelihoods of indigenous peoples. In addition, the assessment is evaluating selected country-level programmes and projects initiated by governments, donor agencies and civil society organizations to enhance the welfare of indigenous people. It will attempt to analyse the extent to which declarations like this at the international level translate into policy and programmatic changes at the national level. The assessment is being undertaken in partnership with indigenous peoples’ representatives, organizations and alliances in each of the ten countries. Preliminary findings suggest that the increased attention to indigenous peoples’ issues at the international level has created greater awareness of the problems they are facing. It has also engendered a greater solidarity amongst indigenous peoples themselves as they interact regularly through new platforms such as the Permanent Forum. The complete findings of the assessment will be available by October 2006. Knowledge Networking for Rural Development in Asia and the Pacific Region (ENRAP), phase II, a project funded by IFAD out of its grant resources and co-funded and implemented by Canada’s International Development Research Centre (IDRC), has been selected as a finalist in the Economic Development category of the Stockholm Challenge 2006. The goal of ENRAP II is to improve the impact of IFAD programmes and projects on the livelihoods of poor rural communities in the region by strengthening and deepening networking and knowledge-sharing at all levels. To achieve this, it promotes the use of Information and Communication Technologies (ICTs). Effective use of the Internet and electronic communication by project staff and, ultimately, by project communities will contribute to the empowerment of rural people and will help them better address their development objectives. The Stockholm Challenge 2006 has focused on ICTs for development in underserved parts of the world. The objective is to find excellent examples of implementation of ICT that show clear benefits to people and their communities, wide impact and sustainable business models. The winners of the Challenge trophies and cash awards will be announced at a ceremony to be held in Stockholm on 11 May 2006. Thank you for participating in the readers’ survey between December 2005 and March 2006. The results show that the newsletter has become a valuable and important communication tool for the Asia and the Pacific Division and for IFAD as a whole. In particular, they show the different ways in which the information in the newsletter has been used, suggestions for improvement, ideas for new themes, diversity of readers and continued interest in receiving future issues. Based on your comments, the division aims to improve the content by covering more information of readers’ preference, providing more links to detailed reports and studies, and improving access to the newsletter. Read the detailed findings of the survey. I would like to take this opportunity to encourage those who have not participated in the readers’ survey to continue sending their comments on the content or specific articles at the e-mail below. 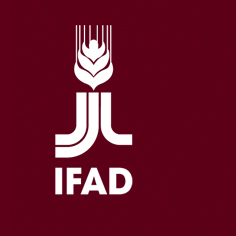 The International Fund for Agricultural Development (IFAD) is a specialized agency of the United Nations, dedicated to eradicating poverty and hunger in developing countries. Its work in remote rural areas of the world helps countries achieve the Millennium Development Goals. Through low-interest loans and grants, IFAD develops and finances projects that enable rural poor people to overcome poverty themselves. IFAD tackles poverty not just as a lender, but as an advocate for the small farmers, herders, fisherfolk, landless workers, artisans and indigenous peoples who live in rural areas and represent 75 per cent of the world's 1.2 billion extremely poor people. IFAD works with governments, donors, non-governmental organizations, local communities and many other partners to fight the underlying causes of rural poverty. It acts as a catalyst, bringing together partners, resources, knowledge and policies that create the conditions in which rural poor people can increase agricultural productivity, as well as seek out other options for earning income. IFAD-supported rural development programmes and projects increase rural poor people's access to financial services, markets, technology, land and other natural resources.